HALIFAX -- Officials from Atlantic Canada's largest children's hospital were peppered with questions about its financial management at a legislature committee hearing Wednesday, but opposition politicians say they didn't get all the answers they were seeking. The Nova Scotia auditor general slammed the lack of oversight and financial management at the IWK Health Centre in a December report, months after two former IWK executives were charged with fraud and breach of trust. An independent review had concluded former CEO Tracy Kitch owed tens of thousands of dollars for "potentially personal" expenses charged to her corporate credit card. The hospital's new CEO and board chairwoman faced questions Wednesday at the public accounts committee, noting half the auditor general's recommendations have been implemented, another four will be implemented by next month and the last recommendation will be in place by March 2020. 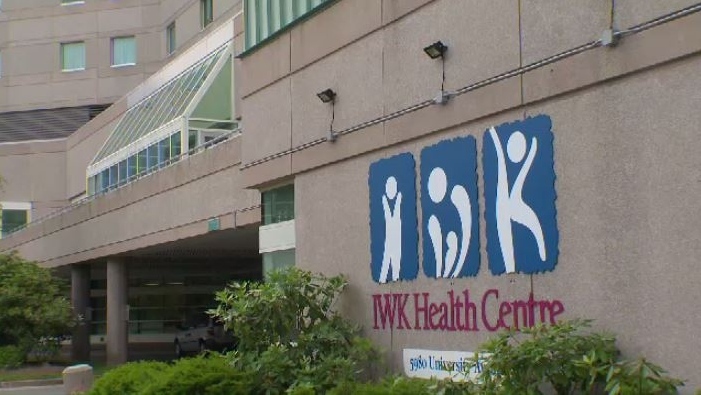 "Being accountable and transparent is not something that the board of the IWK takes lightly," Karen Hutt, chairwoman of the board of directors, told the committee. "We have been relentless in exploring all possible avenues available to help us make the important and required improvements and have shared all of the findings and recommendations we've received -- good and bad." The IWK's chief operating officer was unable to attend the meeting because of a medical issue, so Progressive Conservative MLA Tim Halman asked that the matter return at a later date to allow Amanda Whitewood to appear before the committee. Halman said he felt his questions about the IWK's finances were not adequately answered because of her absence. During the meeting, he noted that the auditor's report alluded to an internal review of the IWK procurement process -- from a purchase request to final payment -- and that there were 19 "near-misses" in the supply chain for 2017-18 that "would have impacted patient care in a negative way." Halman asked the IWK officials to identify the 19 near-misses. "We can get you the specifics on that. That's not detail that I have at my fingertips," said Hutt. "But again, I would like to emphasize that procurement was indeed an area that we asked the auditor general to look at because we were concerned about its functioning." CEO and president Dr. Krista Jangaard added that "being sensitive to where we are with supply chain is now a daily report." 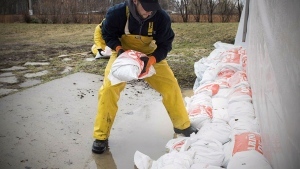 "The person who is responsible for that is on our daily safety call and interacts with our clinical directors, who are the people who are looking for supplies," said Jangaard. The report found that procurement controls were lacking, and allowed individuals to either make unapproved purchases or override processes altogether. Michael Pickup said his team was unable to find eight of the 10 procurement contracts it looked for and there was no evidence of quotes. The report also found that in January 2016, the former chief financial officer submitted and inappropriately authorized two expense claims from 2014 for another member of the executive team totalling $2,000 with neither claim having receipts to confirm or support the expenses. It blamed business policies that were outdated and said appropriate policy guidelines were not developed. Also Wednesday, Liberal members moved to reduce the number of public accounts meetings from weekly to once a month, sparking outrage from opposition politicians who characterized it as an affront to democracy. NDP MLA Lisa Roberts accused the government of further constraining the committee to the point where it will be unable to carry out "the more limited mandate that they have already forced on us," referring to a Liberal vote last month to restrict the committee's work to topics within reports filed by the auditor general. "There is a long history in Nova Scotia of public accounts being a space where all three parties have time to ask questions to the deputy ministers of the government and to figure out what is happening with the administration of our public tax dollars," said Roberts after the meeting. "This is just an exercise in the power that the Liberals have in having a majority on the committee to thwart our work." Halman asked: "What are the Liberals hiding?" "This is a sad day for democracy in Nova Scotia. The once mighty public accounts committee is now fully constrained," said Halman. "This is a committee that has historically held the government accountable. 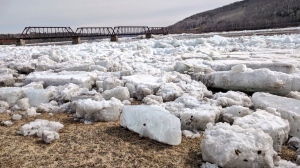 I am really worried about the state of democracy in this province." But Liberal MLA Gordon Wilson argued the change means there will actually be more scrutiny, noting the government has created a new health committee. "There were a lot of conversations in public accounts around health. We now have one solely dedicated to health," said Wilson, adding that committee will also meet monthly. "This will allow us to bring forward all of the auditor general reports and all of the witnesses and topics subsequent to those reports before the committee." The new public accounts schedule takes effect later this month. The IWK Health Centre is seen in Halifax in this file photo.